When the American soldiers came to the hole, they intended to throw a grenade into it, but Saddam appeared saying that he wanted to surrender. He was armed with a pistol and two AK-47 assault rifles, but showed no signs of resistance. On this day in 2003, Iraqi President Saddam Hussein was arrested on a farm in the town of ad-Dawr, near his hometown of Tikrit. 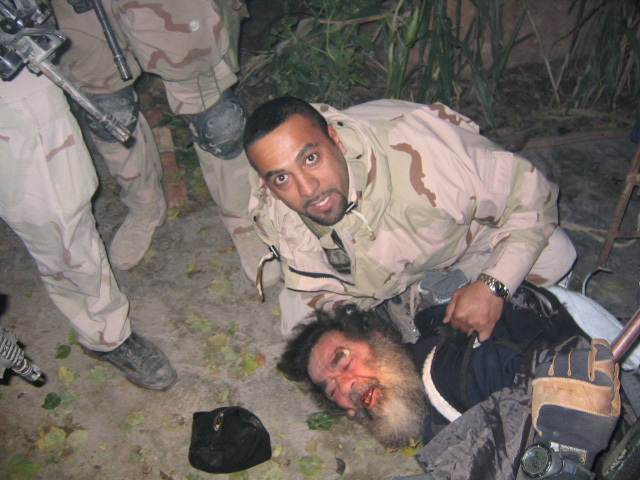 Saddam was found in a hole specially designed to hide one person. The hole had an embedded ventilation system, and the top was covered with a thick cap of foam just wide enough for one person to squeeze through the opening. When the American soldiers came to the hole, they intended to throw a grenade into it, but Saddam appeared saying that he wanted to surrender. He was armed with a gun and two AK-47 assault rifles, but showed no signs of resistance. Next to the hole was a hut, where Saddam apparently lived in hiding. The cabin contained a bed, a large amount of food supply, including Mars chocolates, and lots of clothing, some of it still unpacked. $750,000 in cash was also found next to Saddam. After the arrest, he went through some medical tests, and his long beard was shaved. It was found that he was physically healthy, but his spirit was broken.